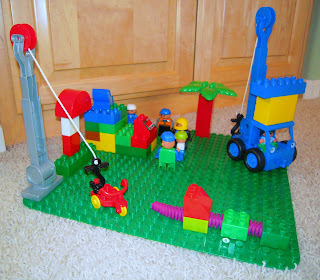 "This is a review from my LEGO Club today. There were 6 of us altogether. 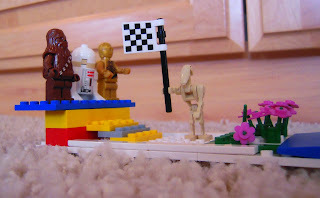 The theme was "scenes from Star Wars and other movies." 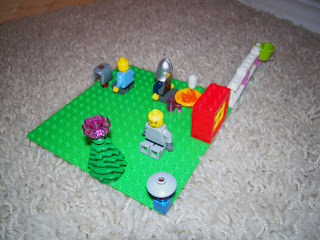 LEGO Club was really fun and we created some cool designs. We had popcorn and CapriSun juice for snacks and we each had one Girl Scout cookie, too. 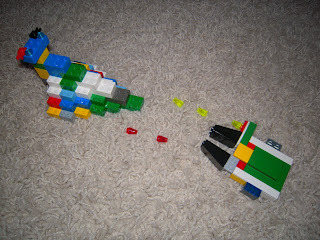 I built "Destroyer versus Falcon." 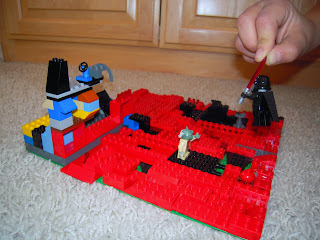 Two kids built "Burning Lava" together. 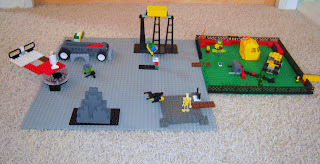 One kid built "Astro Mech Base" and connected his creation to another kid's "Deadly Jail." My mom made "Award Ceremony." 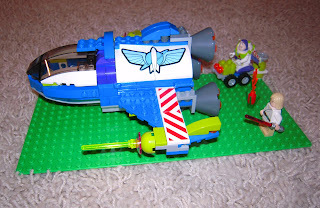 My sister built 3 creations, "Space Rocket,"